First of all lets forget about this 3 day rule myth going on here, where you have to wait three days until you contact her. The longer you leave to call/text a girl you push yourself out of the comfort zone and she’s forgotten about you so here’s what to do. Day game: If you’re getting the number in the day (try to always *nickname number close* her, I’ll tell you why later), you drop a text that evening. Now the best time to call is between 10:30 – 11:30 pm let me explain why. Girls normally finish their day job about six, they get home/have dinner about 7-8, then from 8-9 they will be watching their soaps/doing coursework etc. At 9-10 they might phone some friends to gossip, and from 10-11 they’re just surfing the net maybe reading a magazine in bed killing some time. So the best time to call is that 10:30 – 11 bracket. Hey listen I can’t talk long (false time constraint) but it was totally random talking to you earlier, omg I can’t believe we dont know each other at all! Ok i’m going to tell you three RANDOM things then your going to tell me three RANDOM things (frame control). I LOVE MOCHA’S, TRAVELLED AROUND EUROPE LAST YEAR, I MEET ALOT OF PEOPLE IN MY JOB. (so what you’ve done here is taken a hold of this frame with quite high calibre hooks for her to want to know more about and relate to and seed more conversation off, now rather than her starting off and she may say : “uhm.. my name is Katie, I have a dog and my fave colour is pink.” Your not getting much out of her but as you’ve set the frame you’ve already got her interested because she is now thinking about your hooks and what she is going to say (investing). Now she will give you some good hooks to talk about and it will nearly be impossible to run out of conversation. IMPORTANT ! – AT THE HEIGHT OF THE CONVERSATION: throw in that false time constraint again (hey listen, I’ve got to go, I’ll call you tomorrow if I’m free) What you’ve done here is you’ve ended the call on a high wrapped in positive energy. Do not let the conversation reach a lul and then get off the phone this is really bad and shows that you’ve run out of conversation. 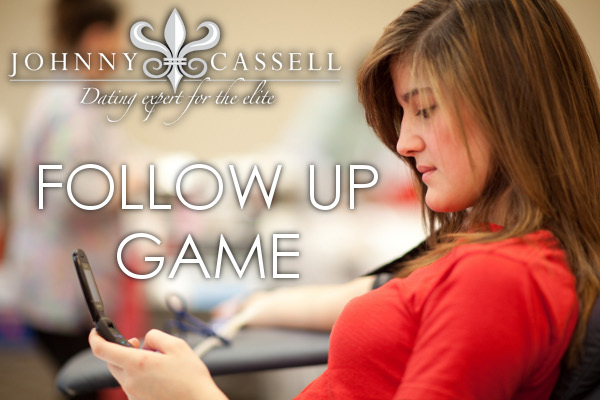 NOTE – do not initiate a day 2 this is what the third call is about.. you are leaving her wandering “Why hasn’t this dude asked me out yet?” remember your not that hand full of guys you’re the pro. Now this one can be similar to the last one e.g. time constraint, something amazing that happened at work today, you never told me what you wanted to be when you were 7. This is followed by height of phone call banter and then you throw in that time constraint once again and you come across as that exciting mysterious man who doesn’t give too much away. Tell her you’ll call her later on in the week some time. Same model as the last two except with this one. This is your day 2 call. Normally in the day around lunchtime I will text the girl something like, “Do you like X Actors name” – for argument’s sake lets say… Leonardo Dicaprio. She responds “I love him,” blah blah blah. Then say “What do you like about him?”, she goes blah blah blah then say you’ll call her later. Call her that night and talk about Leonardo Dicapio’s films. She will go on about how great x film is and how it’s her favourite etc. Now cut that thread and move on to something else. Then cut that current thread with a time constraint saying you got to go, but you should both totally go see Leonardo’s new film together. Make a joke of it like you should turn up with t-shirts with his face on as your his number 1 fans etc. Dont ask her when she’s free, tell her you’re free on a Wednesday and it’s going to have to be a late show as your busy in the early eve (frame control). Now she is sure to accept. Even if she had plans, she’ll cancel them, because you’re the mysterious man that’s been on her mind all week that she has to find out more about. * Nickname number closing is a technique where you replace your actual names with nicknames. For best results for this I tend to use characters out of childhood tv shows; ‘Zippy’ and ‘Bungle’ from Rainbow or ‘Grouch’ and ‘Big Bird’ from Sesame Street, or from more recent ones such as the Teletubbies or Pokémon. These nicknames for each other go into each other’s phones. Now when you text her or phone her she automatically associates you with that fun time you had when you met each other. In NLP this is known as an anchor. Hope you enjoyed the Post. Any comments or questions you want me to answer, go ahead and let me know. If you want to start increasing your current level of success with women, then remember to send Johnny an email directly: [email protected] and get started with 1-2-1 pick up training. 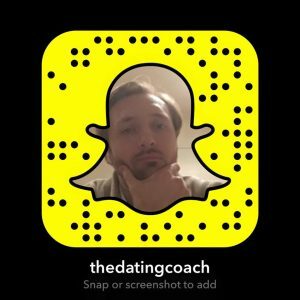 Where you can work with professional dating and relationship coach Johnny and take your game to the next level.